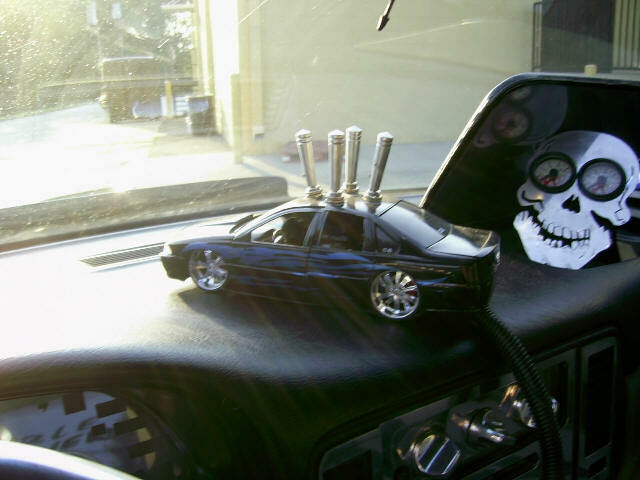 Click here to purchase air ride accessories from our custom car store! When building your air ride system, you will find several air ride accessories that are available to help customize your suspension system. 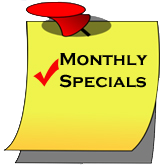 Some of these options include what type of air management, or control system you will use to operate your air system. For instance, one type of air ride options to consider is the type of “switch box” you may want to use are available in many different styles and switch configurations. Some switch boxes are equipped with 10 different switches (toggles) where each switch will allow you to perform a different maneuver in your air suspension. One switch maneuver that is commonly used is called “pancake.” When pancake is used, the switch will control, or operate, all of the exhaust valves which will lower the vehicle all the way around to allow the car or truck to lower to the ground, hence the name pancake. Four other switches may be used to allow the user to have independent control of each of the four corners of the vehicle to allow for inflation or deflation of that particular corner. In Our 96 Impala SS, the switchbox was configured to control the front inflate and deflate with one switch, another switch for the rear inflate and deflate, while two other switches allow for inflate and deflate of either side of the Impala. Other popular ways to control your air ride system can be made from Playstation controllers, panel switches mounted directly to your dash, or even by remote control (also featured on our 96 Impala SS)! 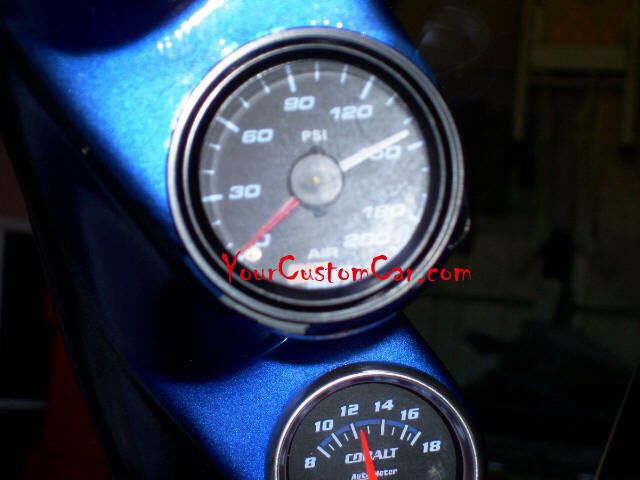 Even more air ride accessories include custom gauges that are used to tell you what the air pressure is in your air bags or air tank. Air pressure gauges are vital to have since you will need to know what the pressure is in your bags in order to be sure that you are at a proper ride height so that you don’t scrape on the ground or those irritating speed bumps that seem to appear out of nowhere in dark parking lots! Knowing your air pressure is also vital for determining the proper air pressure for good ride quality. Too much pressure will not only have your custom car sitting high off the ground, but can also create a rigid ride. Too little air pressure can create a spongy soft ride, but can also allow your vehicle to be too low and risk scraping the ground! So air pressure gauges are definitely air ride accessories that are must haves! Although I can’t think of all of the air ride accessories out there, some other options may include using air bags that feature polished billet caps instead of steel. These might be good for using on vehicles with exposed suspension (so that the air bag can actually be seen). Vehicle specific upper and lower control arms that are designed especially for use with air suspension could also be purchased to ease the installation of air ride in the front of your custom car, or tailing arms/4-link/rear ends for the rear of your custom may also be purchased. Basically, if you have one ounce of creativity in you and a basic understanding of how an air ride suspension system will work in your custom car, you can create a very unique air suspension setup to be proud of. 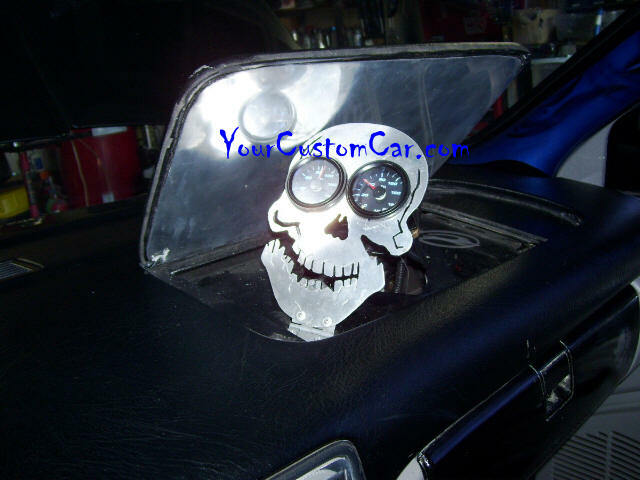 **If you decide that your custom car or custom truck is ready for a custom air ride setup, please know that each of the products previously discussed are available at yourcustomcar.com (either in our on line store or by phone).